Almond milk is a non-dairy beverage that harnesses the nutrition of almonds. Its popularity has soared thanks to its affordability, versatility, longevity, and taste. Creamy almond milk is a delicious alternative to cow's milk and a good source of vitamins, minerals, and other essential nutrients. Almond milk is available sweetened, unsweetened or flavored. Nutrition varies depending on which version you choose. The following table breaks down the nutritional values of popular almond milk varieties offered by two common brands, Silk and Almond Breeze (shelf stable). Values are for a one cup serving. Almond milk also contains low levels of iron, vitamin A, magnesium, and zinc. When you make almond milk at home, you control the ingredients and as a result, the nutrition values. 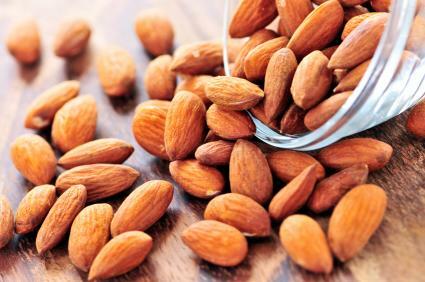 You might choose organic almonds or add natural flavorings. If you have kids, let them help you make almond milk. It's a great way to get them thinking about healthy ingredients. Almond milk can be a part of a healthy lifestyle. However, as the above table shows, sweetened and flavored varieties are higher in calories, sugar, and fat than unsweetened varieties, and sodium content varies between brands. If you enjoy more than one serving per day, those calories can add up. Consider drinking flavored versions as a treat now and then to avoid sabotaging your healthy eating goals.